Your vehicle’s windshield serves several vital purposes and must remain well-maintained at all times. For example, it protects you from objects that may otherwise strike you as you cruise down the road. It also provides you with clear visibility of the road. The security of your vehicle as well as, your comfort levels in the car are also affected by the windshield’s condition. This is an area of the vehicle that can be damaged rather easily from time to time. While a windshield repair job will occasionally address the damage sufficiently, there are times when a windshield replacement is needed as well. These are some of the primary signs that you need to contact a windshield replacement company for professional assistance. Small chips can usually be repaired or filled if they are addressed promptly and if they are not located in your primary line of sight. However, a small chip can easily fracture into a sizable crack within hours or even minutes in some cases. In addition, if a chip is located in your direct line of sight, it can refract light to create a dangerous driving situation. Scheduling new windshield installation may be better in this case rather than trying to repair or fill a chip. When you contact a windshield replacement company about a smaller crack, you will be asked about the size, depth, and placement of the crack. Usually, a very small and shallow crack that is located out of your primary line of sight can be filled. However, just as the placement of a chip is a concern, the placement of a crack is also a concern. In addition, a crack can seemingly grow by the minute as you cruise around or even while your car is parked. 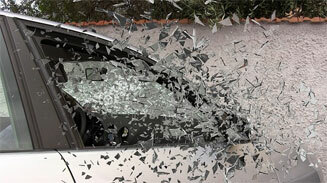 Shattered glass always requires professional windshield replacement. The glass is too damaged to repair. This severe damage can impair your visibility while driving and can be a significant safety issue. A new windshield installation is needed promptly, and you should not attempt to drive your vehicle with a shattered windshield until the replacement service has been completed. Taking great care of your vehicle at all times is essential to your car’s value and condition as well as to your safety and comfort on the road. While you understandably want to save time and money by repairing a damaged windshield when possible, there are situations when a complete windshield replacement should be completed. If there is any doubt about whether a repair or fill is a reasonable solution, it may be best to opt for a replacement. When you contact the right windshield replacement company for assistance, you can receive the prompt response and quality workmanship that the situation demands.